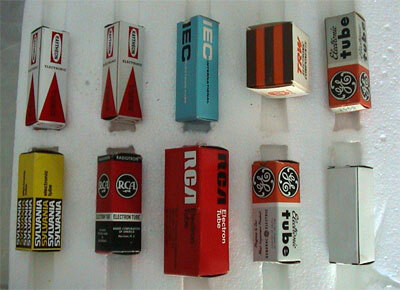 This a random package of select vacuum tubes. They all look new in box, but I can not be sure of their complete history. Some model's included in the lot are listed below. This lot is sold as is. Buyer will pay $15.00 packing and shipping in the continental United States. Payments accepted are Paypal, cashiers checks and money orders only. No international buyers unless Paypal verified. Please feel free to contact us if you need other arrangements.